"It presents an entirely damning portrait of Pence. You’ve seen his colors before, but not so vividly and in this detail." —Frank Bruni, The New York Times "Producing a biography of a living, controversial politician is always difficult. D’Antonio and Eisner have succeeded in this well-documented, damning book. Cue the outrage from Sean Hannity et al." 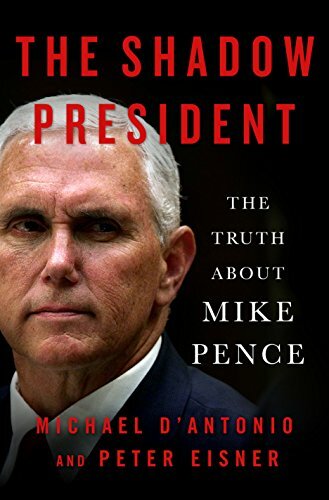 —Kirkus Reviews (starred review) In this well-rounded, deeply-investigated biography, the first full look at the vice president, two award-winning journalists unmask the real Mike Pence. Little-known outside his home state until Donald Trump made him his running mate, Mike Pence—who proclaims himself a Christian first, a conservative second, and a Republican third—has long worn a carefully-constructed mask of Midwestern nice. Behind his self-proclaimed humility and self-abasing deference, however, hides a man whose own presidential ambitions have blazed since high school. Pence’s drive for power, perhaps inspired by his belief that God might have big plans for him, explains why he shocked his allies by lending Christian credibility to a scandal-plagued candidate like Trump.In this landmark biography, Pulitzer Prize-winner Michael D’Antonio and Emmy-nominated journalist Peter Eisner follow the path Pence followed from Catholic Democrat to conservative evangelical Republican. They reveal how he used his time as rightwing radio star to build connections with powerful donors; how he was a lackluster lawmaker in Congress but a prodigious fundraiser from the GOP’s billionaire benefactors; and how, once he locked in his views on the issues—anti-gay, pro-gun, anti-abortion, pro big-business—he became laser-focused on his own pursuit of power.As THE SHADOW PRESIDENT reveals, Mike Pence is the most important and powerful Christian Right politician America has ever seen. Driven as much by theology as personal ambition, Pence is now positioned to seize the big prize—the presidency—and use it to fashion a nation more pleasing to his god and corporate sponsors.